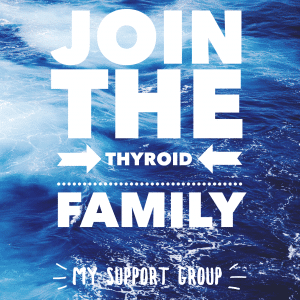 Home » Informational Posts » Are You Over Exercising and Worsening Your Thyroid Health? 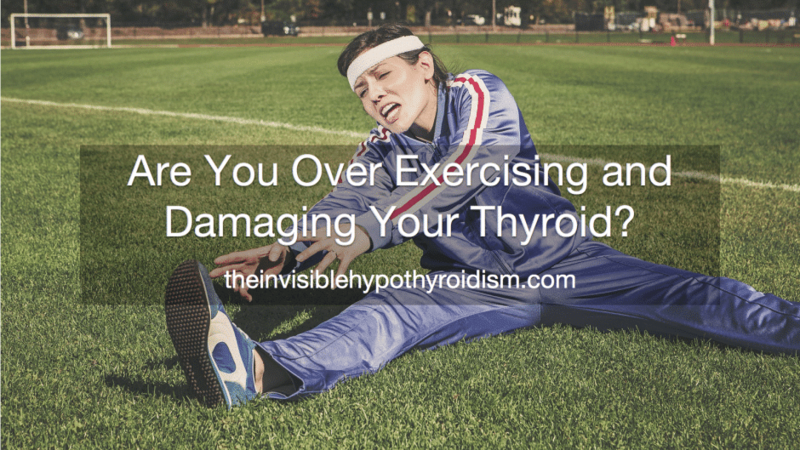 Are You Over Exercising and Worsening Your Thyroid Health? Whilst exercising is well known to be beneficial and in fact crucial for good health, there is such a thing as over exercising. 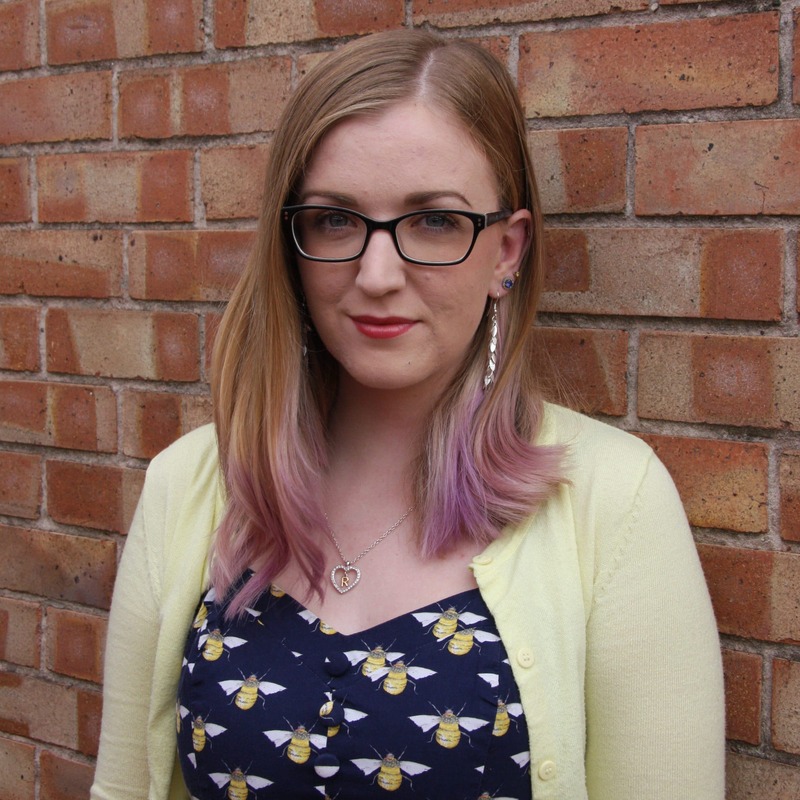 Could you be pushing your body too far and causing more harm than good? 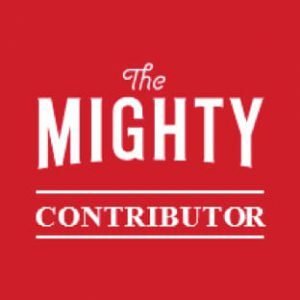 Great care should be taken with physical activity when you live with endocrine issues such as thyroid disease or adrenal dysfunction (though it is more accurately referred to as hypothalamic-pituitary axis dysfunction), as too much exercise can exacerbate these conditions and actually cause us to feel worse. 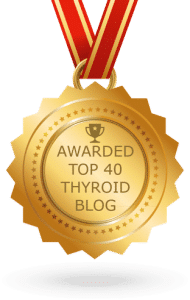 The thyroid gland regulates the body’s metabolism (this is its most important job) and impacts every cell and function in the body. When it doesn’t work properly, e.g. underperforms, this causes hypothyroidism – a slowing down of many bodily processes. 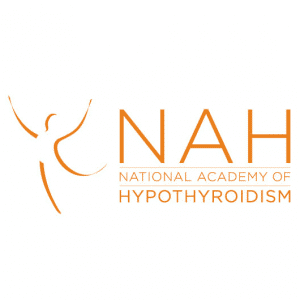 However, repeatedly engaging in overly demanding exercise can cause a surge of biochemical imbalances to occur within the body, including the disruption of the hypothalamus-pituitary axis, which can reduce thyroid function. 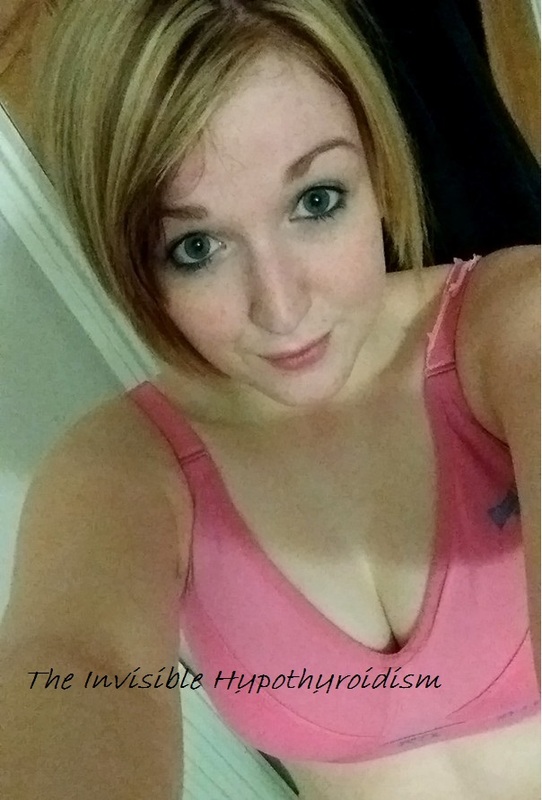 Intense cardio, marathon running and training, obsessive weight lifting etc. with little to no recovery time can all cause extreme stress to the body, particularly the thyroid. When the body is under stress – emotional stress, mental stress, as well as physical stress – it responds by producing cortisol, a stress hormone produced by the adrenal glands. Many of us with hypothyroidism already have stressed-out and overworked adrenal glands, due to the stress of having (often undiagnosed or undertreated) hypothyroidism, even without knowing. This means that we could have high cortisol levels almost constantly, where our body is in a constant stressed-out mode, and producing more cortisol by over exercising adds to this vicious cycle. 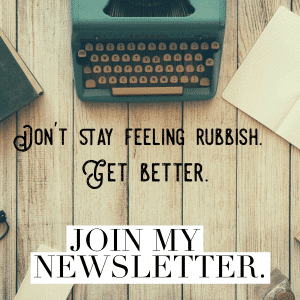 When cortisol is overly produced, it can inhibit thyroid function and cause adrenal dysfunction, where, even if our thyroid test results look OK, we still feel rubbish. Or we ‘pool‘ T3, where we have on-going issues and symptoms. 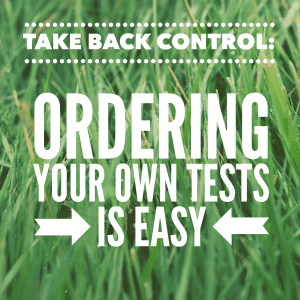 You can check your cortisol levels with a 24 hour, four point saliva test to confirm. 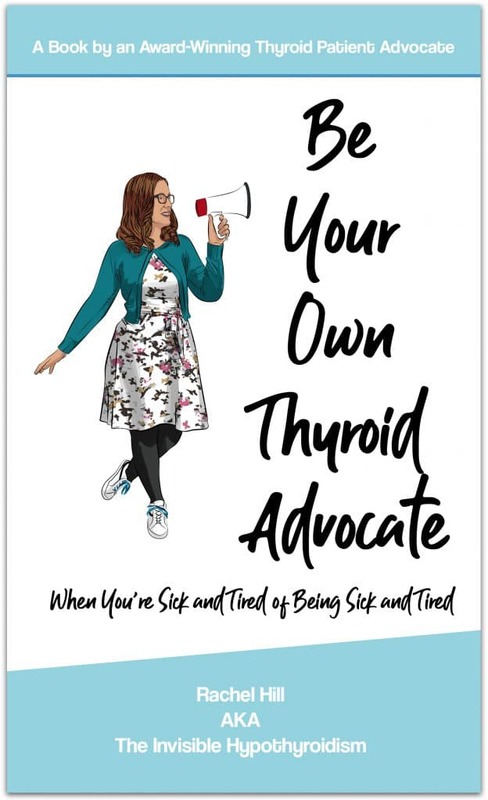 Sara Gottfried also explains in her book that a sign of adrenal issues can include trying to exercise, only to find you crash, feeling light-headed and faint. This is due to cortisol being part of the glucocorticoid family, a substance that raises your glucose level. It is cortisol’s job to give you the energy you need. When you have this reaction to exercise, it’s a sign you’ve used up your main energy supply as you’re perhaps low on cortisol and so don’t have enough ready to use. 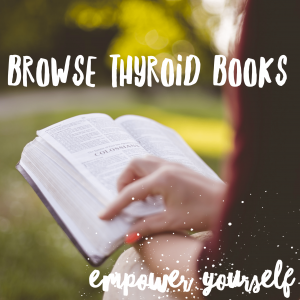 I have read in several books, including Dr Skinner’s and Sara Gottfried’s, that they’re unsurprised by marathon runners who eventually get struck down with endocrine issues such as thyroid and adrenal dysfunction, due to the intense and unneeded stress this puts on the body. As someone who witnessed their husband train and complete a marathon a few of years ago, I’m not surprised! It’s crazily demanding on the body and I wonder if we get to a certain point with marathon and long distance running, where it’s actually no more beneficial to the body and is instead just harmful. After all, how can 20+ miles not be a huge stress to the body? Although there are benefits to higher intensity training, such as improving overall health and building lean muscle, without maintaining a good balance of exercising, resting and recuperating, along with proper nutrition, setbacks in our health and symptoms can plague us. Adding to that, I would also explore the full list of adrenal fatigue symptoms here. Activities that tend to be popular among thyroid patients include: yoga, pilates, swimming, walking and even dancing. Anything that can be done in the comfort of your own home and at your own pace is a big plus and if you can add a social aspect into it too – perhaps getting friends to support you – even better! After a thyroid disease diagnosis, you may need to rediscover which exercises you can safely do without taking your health backwards.